April 10, 2018 in General Media Release, letter to the Editor, Prevention, Risks. The causes of cancer are complex, but many cases can be prevented by healthy lifestyle choices, as Cancer Council Queensland CEO Ms Chris McMillan explains. Thanks to successful health campaigns, we have seen positive changes in sun-related and smoking behaviours and attitudes. 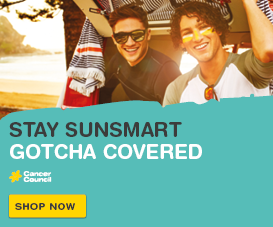 Each year, thousands of skin cancer cases are prevented because people are more SunSmart, and smoking rates continue to decline – all important steps for creating a cancer free future. However, more awareness is needed for other lifestyle risk factors that contribute to an increased cancer risk. At least one third of cancer cases are preventable through healthy lifestyle choices, with four of the top five most commonly diagnosed cancers in Queensland – lung, bowel, melanoma and breast cancers – among the most preventable. To educate and motivate Queenslanders to make healthy choices, we need to talk about all these factors. Achieve a healthy weight. Evidence shows that being overweight or obese significantly increases your risk of some types of cancer, including cancers of the bowel, breast and oesophagus. Eat a healthy diet. Fruit and vegetables are high in fibre, low in fat and kilojoules, and can help you maintain a healthy weight. Fruit and vegetables also contain natural protective substances. On the other hand, eating red meat and, in particular, processed meat, may increase the risk of bowel cancer. So, to reduce your risk, eat five serves of vegetables and two serves of fruit each day, limit red meat intake to less than 500 grams a week and avoid eating processed meats. Be physically active. Incorporating one hour of moderate activity or 30 minutes of vigorous activity into everyday life can reduce your risk of some cancers. Cut down on alcohol. Drinking alcohol increases the risk of cancers of the mouth, throat, oesophagus, bowel, liver and female breast. Cancer Council Queensland recommends people drink within the national guidelines for alcohol consumption, which is no more than two standard drinks a day. Don’t smoke. Smoking is the leading cause of preventable death and disease, causing 16 different cancer types. 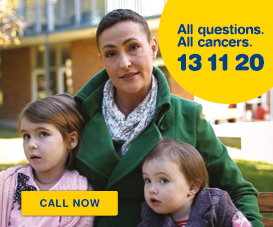 For support to quit, contact your doctor or call Quitline on 13 7848. Protect yourself from the sun. The sun’s UV radiation is the major cause of skin cancer, so Slip on protective clothing, Slop on minimum SPF30 broad-spectrum, water-resistant sunscreen, Slap on a broad-brimmed hat, Seek shade and Slide on wrap-around sunglasses when you head outdoors. As well as raising awareness for cancer prevention, we need to encourage Queenslanders to take part in screening programs, and continue funding research into cancer treatments and causes, so as to improve outcomes and further understand what causes the other two-thirds of cancer cases; this is something we are committed to at Cancer Council Queensland. 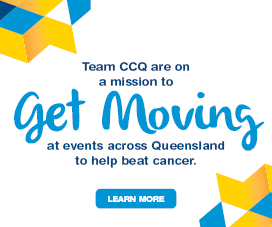 For more information about Cancer Council Queensland’s work in cancer research, whether you are eligible to take part in screening programs, and how you can reduce your cancer risk, visit cancerqld.org.au.